Celebrating the 20th anniversary of Private Stock program, PRS Guitars has announced its limited series of 40 guitars that are unique in many ways. 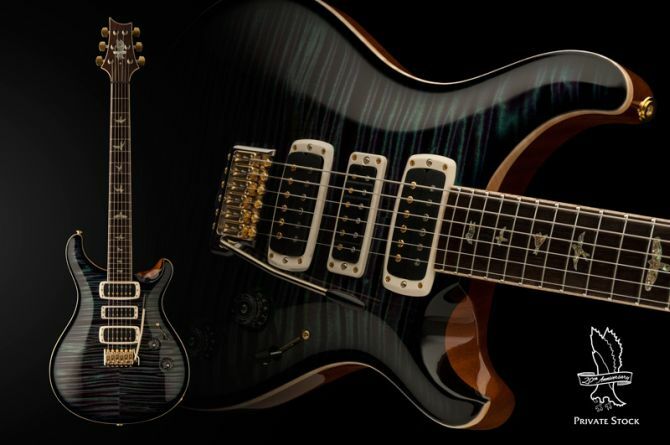 For those of you who are not familiar with PRS’ Private Stock program, let us enlighten you that through this program PRS have been able to craft the very best tonewoods, featuring exceptional artistic details. So in honor of this innovative program, Paul Reed Smith’s company has crafted special edition African Ribbon Mahogany instruments that are reminiscent of Howard Leese’s ‘Golden Eagle’ model.